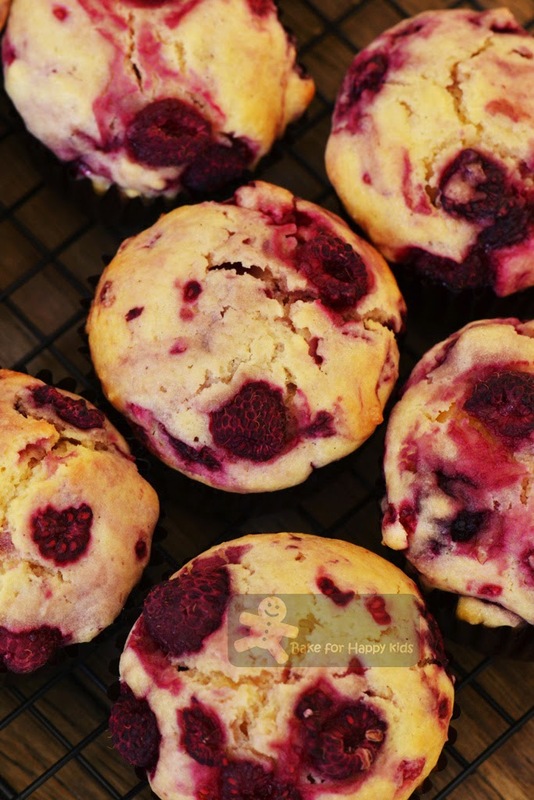 These very fruity and pink muffins really remind me of the Lots-of-Raspberry coffee cake muffins that I have baked previously and that's why I called them the Another Lots-of-Raspberry muffins but these are the stir-and-bake ones. Unlike the prior Barefoot Contessa recipe, this one is much more easier to bake as it doesn't require the use of electric mixer for creaming. With the least amount of effort in mixing and baking, I have to say that I'm totally impressed with this recipe as these muffins are as good as the prior Lots-of-Raspberry coffee cake muffins. Looking at list of ingredients in both muffin recipes, I can't help to think that the magic ingredient that creates all these beautiful texture is obviously SOUR CREAM! Please correct me if I'm wrong... It can't be coincidental that the bakes that I have baked with sour cream are mostly smooth, moist and delicious. Well, obviously!!! 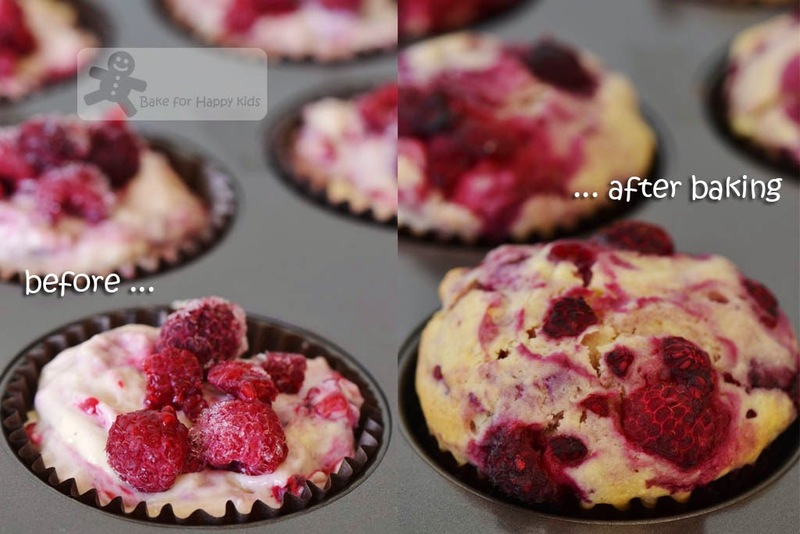 Despite the similarities, these raspberries muffins are healthier with the use of oil (not butter) and also a reduced amount of added oil. Furthermore, I reckon that these muffins can also be extra healthful if you use oil like rice bran oil which is low in saturated fat and has no trans fat. 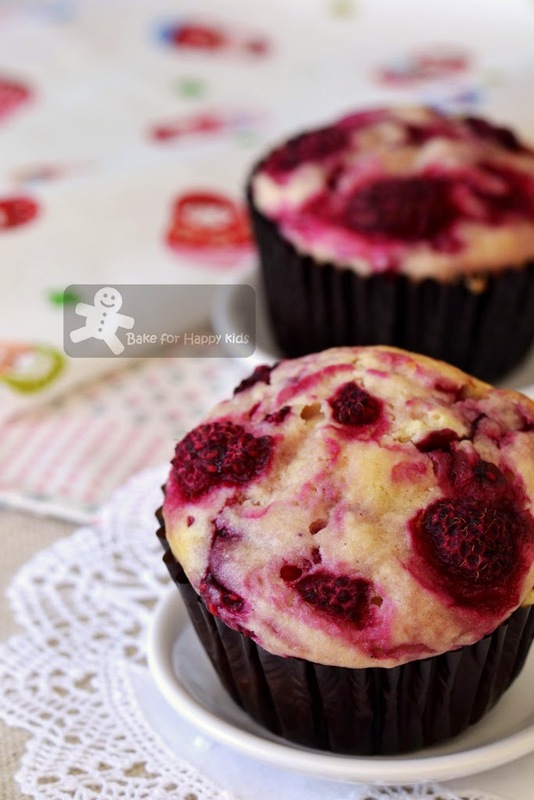 To compensate the missing amount of added fat, the moisture of the muffins are bumped up with a generous amount of raspberries added... resulting these ultimate Lots-of-Raspberries enjoyment. 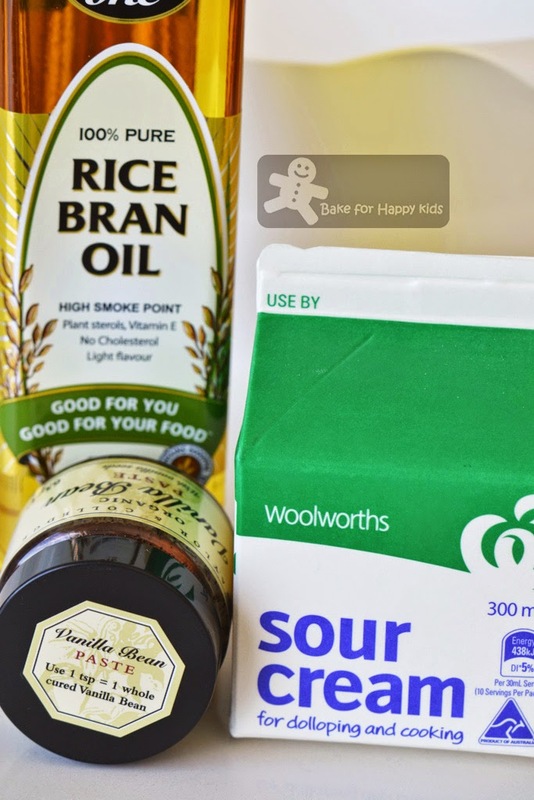 To mix, combine these ingredients first. Stir in lots of raspberries. Can't have enough of these muffins? Yup! I baked another batch of them again!!! Pretty in pink but waiting to be feasted!!! LOL! Chomped by a raspberry-loving monster... Berrilicious! Preheat oven at 180ºC or 170ºC fan forced. Line a 12-hole 1/2 cup muffin pan with baking paper cups. 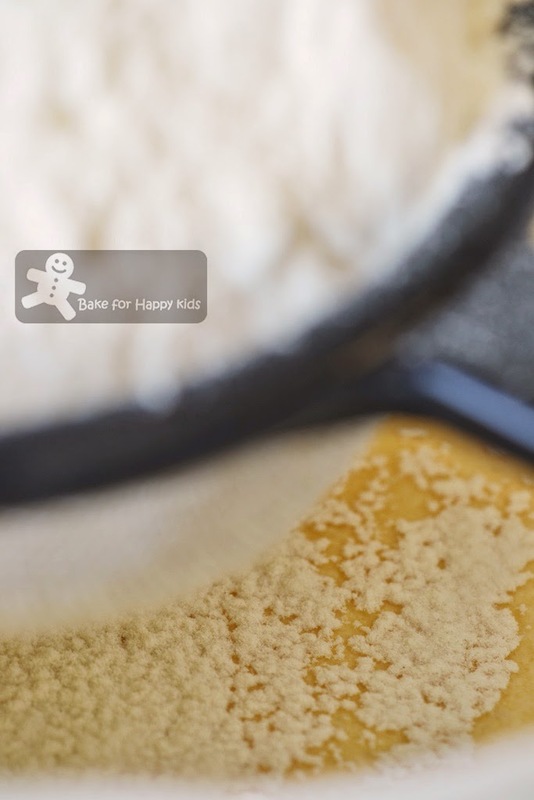 In a large mixing bowl, combine flour (with baking powder) and sugar together. 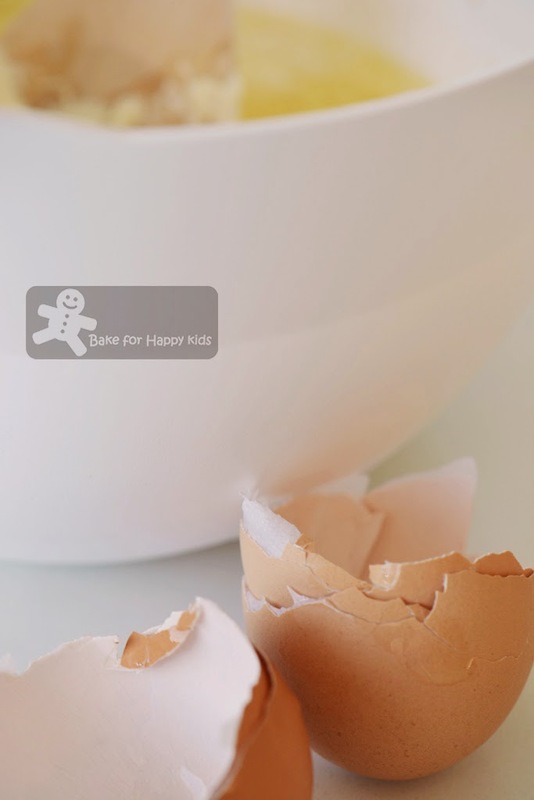 In another large mixing bowl, whisk eggs, oil, sour cream and vanilla together. Sift the dry ingredient into the sour cream mixture and fold until just-combined. Do not over mix batter as mixture may be dry. Fold in raspberries and spoon mixture into pans. Bake for 25-30 mins (I baked mine for 30 mins) or until the skewer inserted in the center of one of the muffin comes out clean. Cool in pan for 10 mins then transfer to a wire rack. Serve warm or at room temperature. This recipe got my attention.. You know why already I guess, coz it's stir-and-bake! 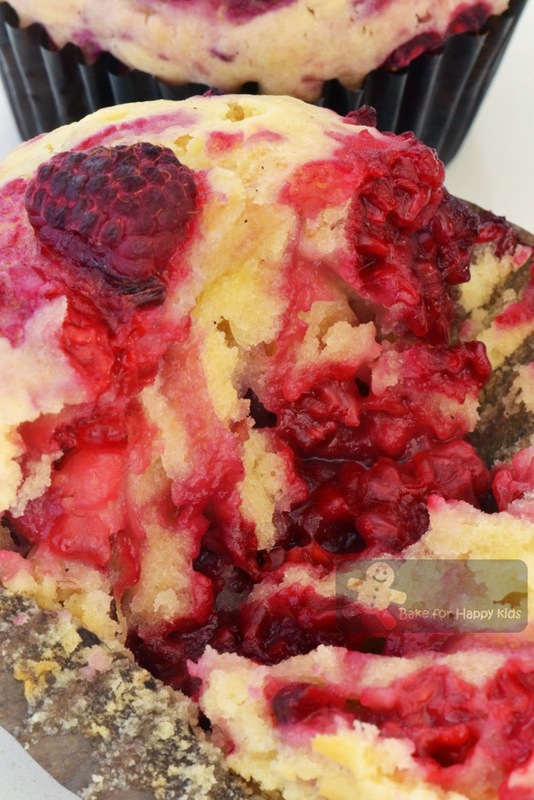 Haha, no whisking or mixing.. Oooo look at those raspberries !! 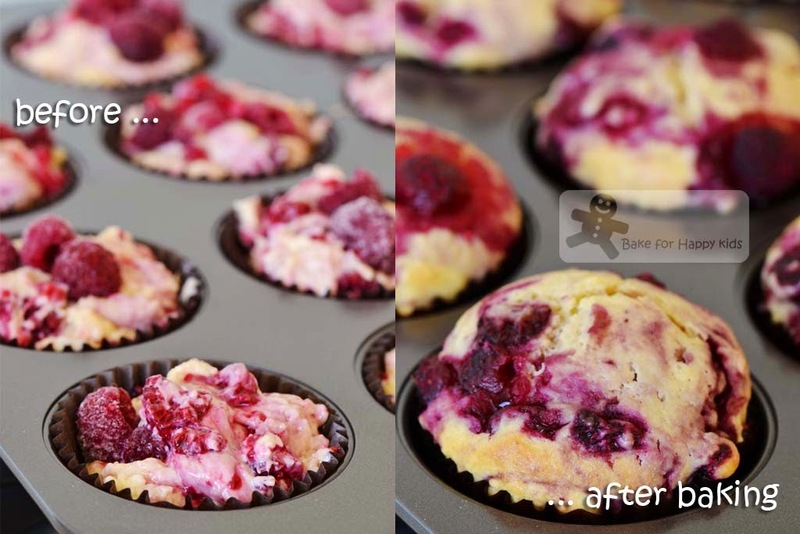 The second last and last picture looks like vanilla ice cream with lots of raspberries! Yummzzz..
yumm these looks yummy. I have seen this bran oil but never used it maybe next time will use it . You can substitute raspberries with fresh or frozen blueberries or cranberries. I think cherries should be ok too. Your little one is not eating fresh cherries... pass them over to me. We love fresh cherries a lot!!! Saw our bank statement and saw that we have spent $300 last month for just cherries!!! Gotta find recipes to "get rid" of 'em cherries. Hahaha. Oooo...I love the thought of the flavors in these! I've been dying for some fresh berry muffins! Soft, crumbly and with berries! I would scoff one of those bad boys with a milky sweet cup of tea! I have not tasted raspberries before. They do look fresh and juicy in your pictures. I am sure the muffin are very delicious. 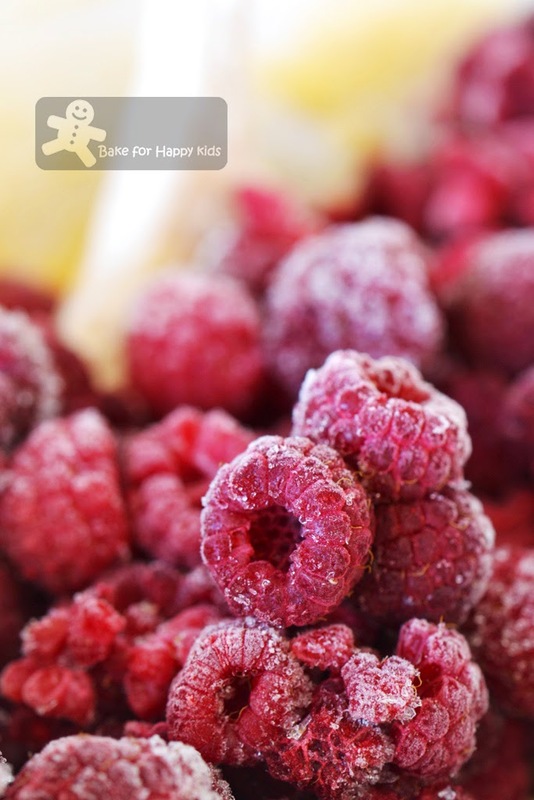 What a great way to use raspberries! And they happen to be on sale at the grocery store this week. Coincidence? I think not! :-) Great recipe -- thanks. Gosh, Zoe! These muffins are really gorgeous. They are bursting with pink and lovely berries! Oh, I do love sour cream in bakes as the cakes turn out so moist and delicious. Have yet to try them in muffins. I love the bright raspberry red in your muffins. This is so good to have with a glass of cold milk!